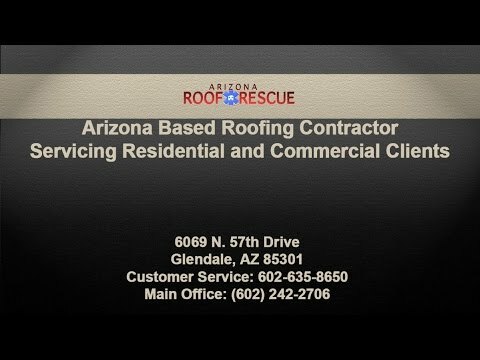 Arizona Roof Rescue » Blog » Does My Homeowners Insurance Cover the Cost of an Arizona Roof Repair? The roof on your Arizona home is damaged. The first though in your head is the cost of the impending Mesa roof repair. The next thought circling your mind is how you’re going to pay for it. It may even occur to you that your homeowner’s insurance could cover the cost of the roof repair. Will it? The answer is, it really depends on what your insurance policy covers and how the damage occurred. Although every policy has varying coverage and payment options, there are some aspects that are generally covered, some that generally are not covered, and how you go about filing an insurance claim. Most insurance companies have policies that cover roof damage done by natural disasters. Some more common natural disasters found in most policies are fires, tornadoes and hurricanes. Some other nature related damage that may be covered, if specifically noted in your policy. Those include lightning and hail damage. Check with your insurance agent for the types of natural disaster related damages are covered in your policy. The natural wear and tear that comes with an aging roof is more than likely not going to be covered when the roof needs to be repaired or re-roofed. Your roof has a lifespan of 20 to 25 years, and if you’re nearing the end of that span, you may need to start shopping roofing companies for a Mesa re-roofing, but you may need to pay for that project out of pocket. If you have been negligent in your roof maintenance, or had damage caused due to your negligence, insurance could determine that your policy won’t cover repair of the damage. Good roof maintenance in Mesa involves replacing or repairing broken shingles and/or tiles, removing debris from your roof, and keeping trees trimmed back to reduce the chances of branches or other heavy debris from falling on your roof. Improper roof maintenance can weaken your roof’s workability. Leaving debris rotting on the roof can trap moisture up against your roof, causing the roof to weaken, leaving it vulnerable to leaks. Leaving broken or missing tiles or shingles can create the same situation, inviting leaks to penetrate your home. If you notice that your roof is in need or a roof repair near Mesa, it is best to call a roofer to get the issue resolved as soon as possible, so to avoid costlier repairs in the future. Your roof is under 10 years old: Your insurance company may reimburse for the repairs on your damaged roof based on the original cost of the roof. Your roof is more than 10 years old: Your insurance company may reimburse for the repairs on your damaged roof based on a depreciated value of your roof. Once again, this is only an example. You will need to contact your insurance company to get their policy on reimbursement and how the age of your roof will impact it. 1. First, you need to get an estimate on what is needed for your Arizona roof repair. Whether it is a simple repair or a complete re-roofing, getting an estimate in writing is your first step. Some companies may require that you get more than one estimate from different roofing companies, so check with your insurance company to get their policy. 2. Next, file the claim. Most banks offer a place on their website to file a claim online. If you prefer, give them a call to file it over the phone, in case you have questions during the filing process. 3. Your insurance company may send an adjuster to inspect the damage and report their findings directly to the insurance company. This will give the insurance company a more complete picture of what they’re dealing with and what they will reimburse you for. 4. Once your insurance company has collected all the information they need, they will more than likely contact you to let you know what, if anything, they will cover, and what your deductible will be. If you have roof damage, your Arizona home is located in the Valley area, and are in need of a free estimate for the repair, give Arizona Roof Rescue a call. We will assist you with anything we can throughout the insurance claim process. You can reach us at 602-242-2706. Home » Blog » Does My Homeowners Insurance Cover the Cost of an Arizona Roof Repair?